Today I'd love to share with you some of my latest works, which, if I'm honest, have been sitting here in my studio like wallflowers, waiting to be asked to dance. For me, it's all about enjoying the process and I get so caught up painting, that I often forget to share my completed Artworks! 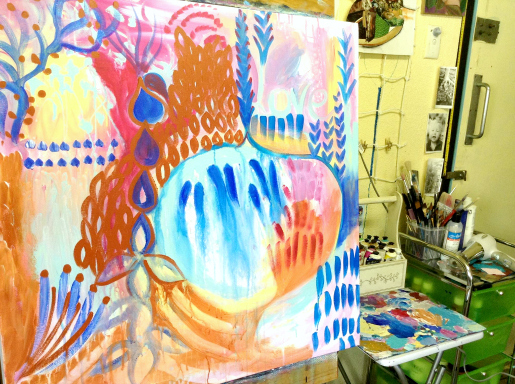 So, I'd love to invite you into my studio to see my latest expressive works today ... I hope you enjoy! CURRENT PAIR IN PROGRESS ... Close to being finished! CONSTANT WORK IN PROGRESS ... Painting with my little man!